A new study says the colours found in modern birds' eggs did not evolve independently, as previously thought, but evolved instead from dinosaurs. According to researchers at Yale, the American Museum of Natural History, and the University of Bonn, birds inherited their egg colour from non-avian dinosaur ancestors that laid eggs in fully or partially open nests. The researchers' findings appear in the online edition of the journal Nature. "This completely changes our understanding of how egg colours evolved," said the study's lead author, Yale paleontologist Jasmina Wiemann. "For two centuries, ornithologists assumed that egg colour appeared in modern birds' eggs multiple times, independently." 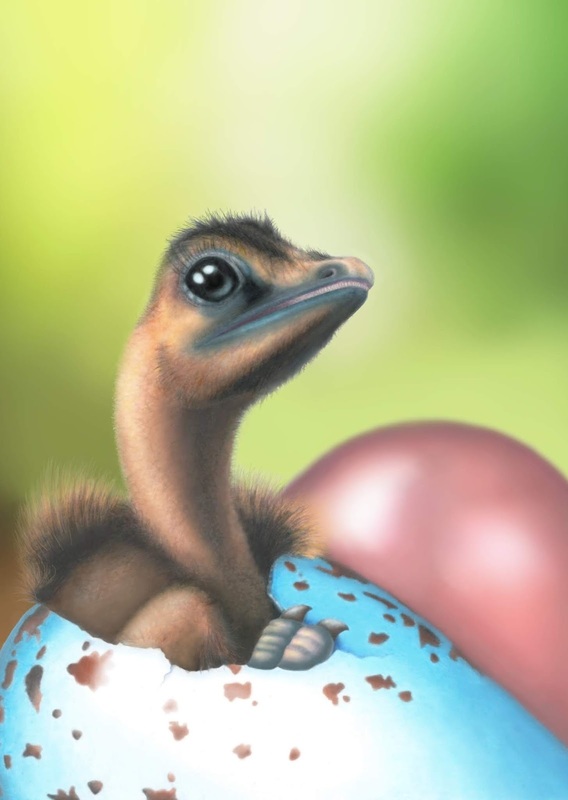 Illustration of a hatching Deinonychus chick from a blue egg with brown spots. The egg colours of birds reflect characteristic preferences in nesting environments and brooding behaviours. 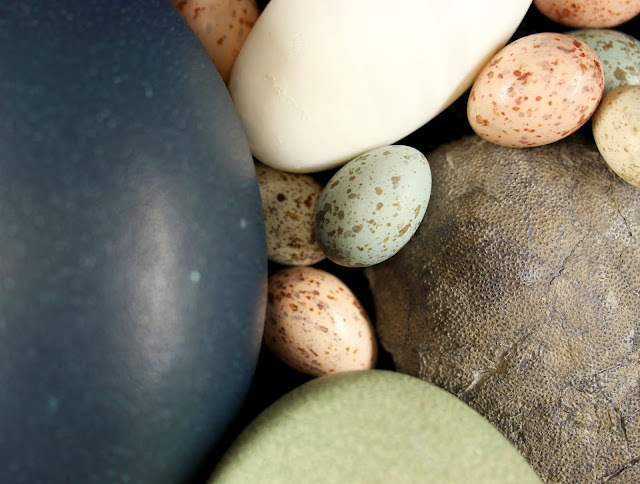 Modern birds use only two pigments, red and blue, to create all of the various egg colours, spots, and speckles. 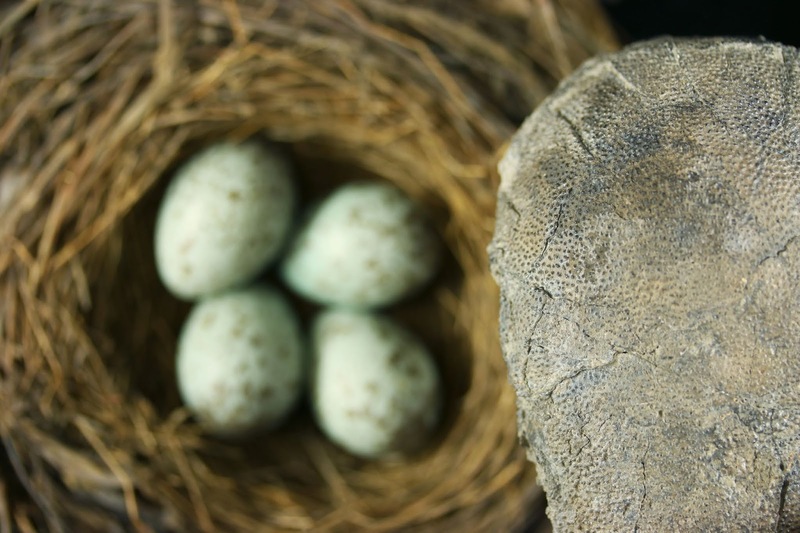 "We infer that egg color co-evolved with open nesting habits in dinosaurs," Wiemann said. "Once dinosaurs started to build open nests, exposure of the eggs to visually hunting predators and even nesting parasites favoured the evolution of camouflaging egg colors, and individually recognizable patterns of spots and speckles." Co-author Mark Norell, the Macaulay Curator of Paleontology at the American Museum of Natural History, noted that "Coloured eggs have been considered a unique bird characteristic for over a century. Like feathers and wishbones, we now know that egg colour evolved in their dinosaur predecessors long before birds appeared."